Lowcountry Paver is the Southeast Manufacturer of the highest quality concrete pavers, permeable pavers, thin pavers, pool coping and retaining wall. 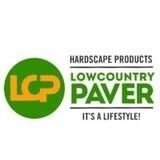 Lowcountry Paver offer the best product and warranty available. The pavers are created with granite aggregate, a material that will hold up over time. The high cement ratio and secret formula of add mixtures helps to create a paver that can often exceed 10,000 psi. Strength, aesthetics and quality are only acheived when the best materials are used. That is Lowcountry Paver's focus. 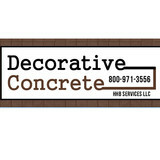 Do Business with the Decorative Concrete: A company that takes pride in its work! Nature's Way Landscaping and Hardscaping has served Savannah and the surrounding areas since 1985 with full service residential and commercial landscaping. We provide complete Design/Build services, grounds maintenance, plantings and comprehensive all season maintenance services. With our experienced team of landscape designers and horticulturists, Nature's Way Landscaping and Hardscaping can design and build a distinctive outdoor living environment that will give enjoyment for years to come and increase your property value. At Jureka Lowcountry Services, we are focused on providing services with the highest levels of customer satisfaction & we will do everything we can to meet your expectations. With a variety of offerings to choose from, we're sure you'll be happy working with us. Look around our website and if you have any comments or questions, please feel free to contact us. Jason Jureka is a Hilton Head Island native with 15 years of experience in the decorative concrete industry. As an artist, decorative concrete has allowed Jason the perfect outlet for his artistic skill set and passion for creating. Jason also offers pavers, fire pits, stucco ,interior and exterior painting and general handyman services. We sell travertine, stone, and pavers. Distinctive Stone is able to produce both custom-drawn conceptual designs and hand-carved stone sculptures, making us an industry innovator in both style and quality. This attention to detail and appreciation for the history of classical art allows our stone and brickwork to create a truly distinctive ambiance for your space. Distinctive Stone is a full-service company committed to helping you through each phase of your project, from forming the initial design concept to the final construction. Whether it is a large commercial endeavor or a small residential build, each project is customized to your specifications. This ensures that your creative project is a unique expression of skilled masonry and stone work. Derek Mulkey’s work has been shown on the Home and Garden Channel for its innovative integration of artistic design and skilled masonry. Derek has been creating conceptual art for over 15 years. In addition to his construction skills he has a long history and experience with fine arts, having previously sold oil paintings and sculptures through art galleries. Combining years of experience with a dedication to client satisfaction, Low Country Concrete LLC has established itself as the local leader in Concrete Work, Concrete Patios and Concrete Contracting. We are professionally trained and ready to respond to your hard surface emergencies! Call us today for a quote and we'll get started on your hard surface rescue! We at M& M Concrete Service guarantee that our work is prompt and we make sure that the customer is handled the right way. The attention to every detail clearly sets us apart from our competition. Don't hesitate to contact us! For the most part, people hire a stone or concrete contractor for large installations like driveways and walkways, or for home facades and exterior columns. These brick, pavers or stonework installations can add lots of functionality and visual curb appeal to your South Carolina home. Pavers come in a wide variety of colors, shapes and sizes, and the right vendor or specialist can help you choose a color and design that complements your existing landscaping. From installing new exterior columns to repairing your chimney, masonry contractors can help you add both visual appeal and value to your property. They’ll know what kind of installation makes the most sense for your Bluffton, SC climate and regional style. Looking for something that will develop a patina with time? Or would you rather have your home feel brand new for years to come? Choosing the right kind of stone involves thinking about the future, too. Experienced brick suppliers and stone suppliers can help you find the material that will work for your home now and for years to come. These professionals aren’t limited to exterior work either. Whether you want a split-stone granite wall in the kitchen or need help installing traditional brick masonry on your fireplace facade, you’ll want a professional to get it right. If you’re already working with an architect or designer, he or she may be able to suggest a good Bluffton, SC subcontractor to help out. Here are some related professionals and vendors to complement the work of stone, pavers & concrete: Landscape Architects & Landscape Designers, Architects & Building Designers, Garden & Landscape Supplies, Driveways & Paving, Siding & Exteriors. Find stone, paver and concrete professionals on Houzz. 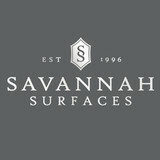 Search the Houzz Professionals section for Bluffton, SC stone, paver and concrete professionals. Browse photos and read reviews, and contact a pro if you like their work.